This current crisis is a massive test for Cricket Australia. And, if it wants to do the right thing by the fans it needs to sack its captain. After what has come to light since I penned my previous column here on The Roar, it is evident that extremely strong action has to be taken by CA, over and above whatever the ICC deems suitable. Every professional sport survives on the back of its fans and, as such, Australian cricket fans deserve the sport’s governing body in this country to take firm and decisive action. Some have spun the well-worn, ‘everybody does it’ defence. That may be the case, but it is mere speculation until such time as concrete evidence is presented. In this case, the evidence is secondary to the fact that the Australian captain has admitted to orchestrated cheating under his stewardship. All of us speed and if we get caught have to accept the consequences. If you flagrantly and recklessly break the speed limit you can lose your licence. Likewise, Smith deserves to lose the captaincy and a CA-imposed playing ban as well for pushing the envelope well past breaking point. CA has said it will follow due process before making a final decision on what penalties it will levy. We await those decisions with interest. In the meantime, Australian cricket will be hammered by all those who follow the sport around the world, and rightly so. Less than a year ago, Australia’s cricketers were effectively holding their employer to ransom when they were demanding a greater cut of the financial pie. One of the central planks of their stance was the argument that they were the most important commodity in the sport’s structure. That, of course, is true. However, the highest profile members of that group have now brought great shame to the sport in this country, and by extension, globally. In terms of the ongoing reputation of Australian cricket this latest fiasco is perhaps the most significant since the underarm incident in New Zealand in 1981. It still gets constant airings nearly four decades hence. Yet, the two actions bear little resemblance. What Greg Chappell ordered brother, Trevor to do was against the spirit of the game. It was not cheating as such as the action was legal within the laws of the sport as they existed at that time. Ball tampering is outright cheating and has always been viewed in that light by the game’s legislators. In recent times there have been other high profile cases of ball tampering – most notably Mike Atherton and the sand in pocket at Lord’s in 1994 and Faf du Plessis’ mint in mouth at Hobart in 2016. Again, there is a glaring difference between those two incidents and what unfolded at Cape Town. Both those men were captain of their team at the time. They chose to do what they did themselves, although other parties were no doubt aware of it. 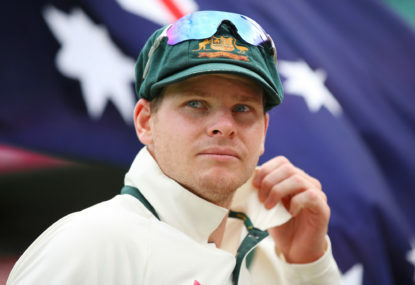 What Smith did was order the newest player to the Australian team to carry out the deed. There is an age-old adage about leadership – never ask others to do what you would not do yourself. Smith opted not to take the risk himself but delegate it to the new boy. He does not deserve to hold the captaincy as a result. Bancroft also deserves whatever penalties are thrown his way. He may have been ordered to do what he did but if you are handed a gun and told to use it you still have an option. So did Bancroft and he chose to be part of the ruse. Smith said at his post-play media conference that it was a plan hatched by the leadership group. Who exactly makes up that leadership group has not been expanded on. It doubtless includes vice-captain, David Warner and perhaps the team’s most senior player, Nathan Lyon or the likes of Mitchell Starc and Josh Hazlewood given the issue centres around the benefits that were to be derived by the fast bowlers. Each of those involved needs to be heavily penalised. 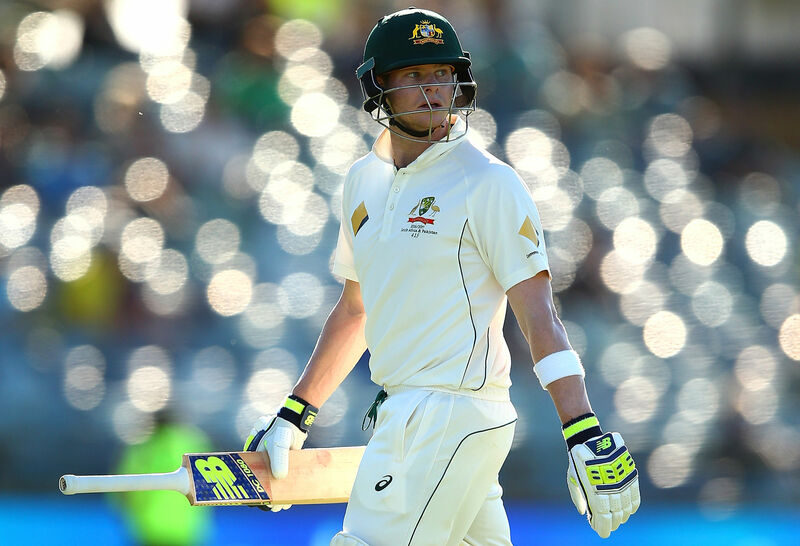 Smith was at pains to say that coach, Darren Lehmann had no knowledge of the plan. It is hard to comprehend that neither he nor fast bowling coach, David Saker were aware of the scheme. If indeed they were not, they should have been Bancroft’s first port of call when he was asked to be a party to the scam. If Lehmann and Saker are found to be even remotely involved in this farce they too need to be removed from their posts. There is no way for CA to spin this. Guilt has been established by confession. Australia has spoken voluminously in this series about the ‘line in the sand’. On this occasion they have bounded over it with flagrant disregard for both the spirit and laws of the game. The resultant stain on the sport in this country will last for a long time. CA has to ask strongly and decisively. The fans and all those who underpin the sport in this country deserve it.